Print the big Schick coupons and head to Kroger to grab razors on the cheap. 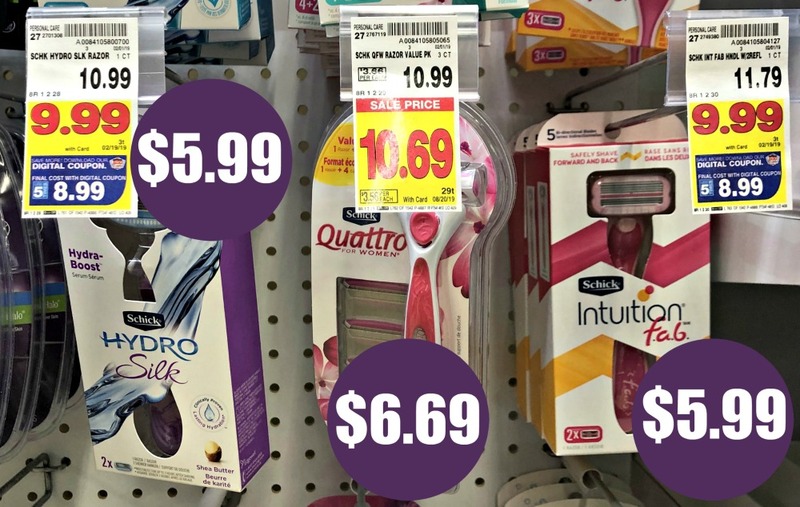 You can get razors for the gals for as little as $5.99…almost half price. -$4/1 Schick Intuition or Fab or Hydro Silk or Quattro, exp. 3/2/19 (SS 02/10/19) [Excludes disposables] $5.99 after coupon. -$4/1 Schick Intuition or Fab or Hydro Silk or Quattro, exp. 3/2/19 (SS 02/10/19) [Excludes disposables] $6.69 after coupon.